Amit Chakrabarty, MD, a urologist at Poplar Bluff (Mo.) Urology and a technology buff, was an early adopter of a dashboard offered by the developer of the electronic health records system used by his practice. The dashboard, developed by CareCloud, an ambulatory EHR vendor, helps the practice capture and report data to demonstrate compliance with the federal government’s new Merit-based Incentive Payment System (MIPS). MIPS is a payment program from the Centers for Medicare and Medicaid Services that rewards doctors for quality care and improved patient outcomes. One of the challenges that physicians face with the new system is the greater range of data required to demonstrate improvement in meeting quality measures. That’s where the dashboard from CareCloud comes in. The MIPs program gives providers more flexibility in the first year of the program, allowing them to participate in MIPS by only reporting three months’ worth of data. Requirements for data reporting ramp up significantly after the first year of participation, Chakrabarty says. Poplar Bluff Urology initially only reported on four specialty-specific quality measures, but six measures were required, so the practice added two non-germane measures covering tobacco and alcohol use just to make the numbers. However, Chakrabarty warns that MIPS is not easy, and his team received substantial assistance from CareCloud. Along with the EHR, the vendor also provides billing services. Specifically for Poplar Bluff, the vendor provided specific assistance in helping the practice load quality measures and customize the EHR to meet its needs. The practice selected the vendor’s EHR system in early 2017 because the vendor seemed more tech-savvy then other suitors and worked harder to get the business, Chakrabarty notes. With the shift to MIPS, Charkrabarty advises other practices to have billing functionality attached to their EHR system. He adds that, in less than a year, his practice has become proficient on the new system, the billing service has a 95 percent pass rate, and Popular Bluff Urology has started to do basic analytics to better understand its strengths and weaknesses. The office manager or practice administrator query the data to learn the percentage of patients with Aetna or Medicare coverage for which the practice received reimbursement after only one claims submission, the percentage of aged billings and the frequency of getting co-pays at the time of service, among other factors. The practice also receives a snapshot of additional practice metrics every two weeks from CareCloud. 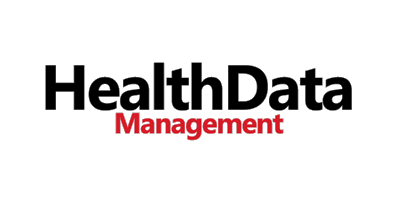 This article was published in Health Data Management.